A dramatic approach to refreshing the art and walls in your house; dare to be unconventional with oversized mats and frames. 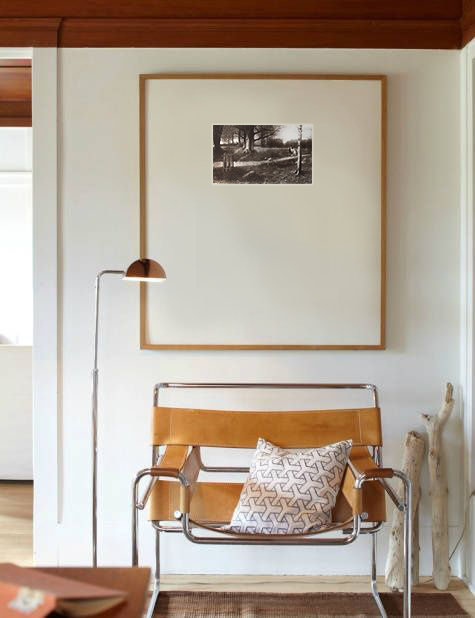 Whether you desire to place small pieces on a large wall, or just want to have a little fun, using unexpected matting is a great way to add intrigue to a special piece of art in your home. The drama of an oversized mat can allow the art to extend beyond the boundaries of its printed or painted edge and take on new and intensified interest and presence. Matting Cecil K’s “Echo” series in large, generous mats, gives the small landscapes more importance on this owl gray wall. Set against a backdrop of white, our eye is drawn to the windows of soft hues – echoed beautifully in this simple dining setup. “Autumn,” Etching, 12.5 x 21 in. There is no need to be timid when matting. Make a statement by making a small piece large. 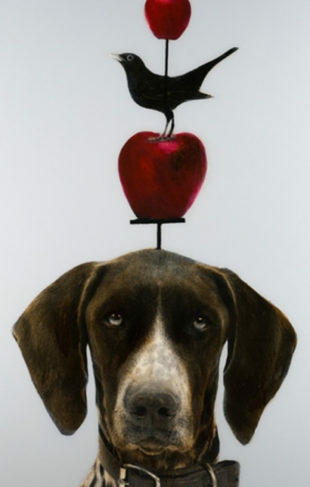 This etching is matted with a simple, over sized off white mat and placed off center within a simple wood cap frame. The wood and aged leather sling chair complement and balance the sepia tone print. A stunning composition. Play with directions. Be unconventional. 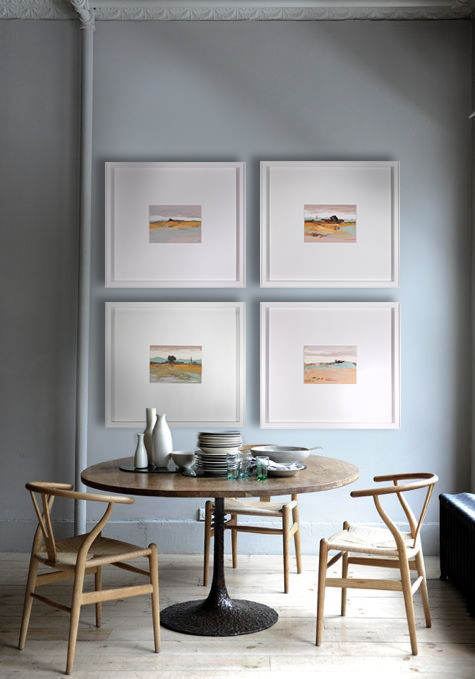 Have fun with a series by matting horizontal landscape photographs in long, vertical frames. 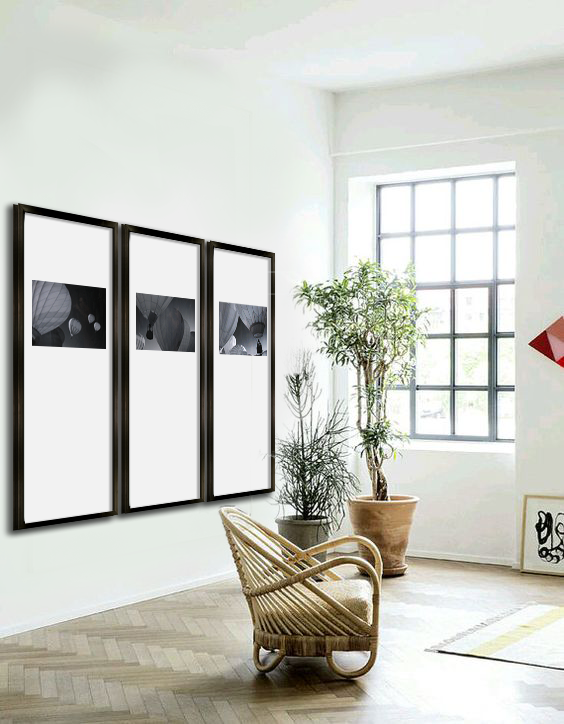 The palette, proximity and placement of the photographs within the bright, white matting creates a solid composition. The varied shades of gray in Nagler’s “Balloons In The Sky” read as a delicate, organic composition of shape and line. Explore more framing and matting ideas on Mitered Corner or visit the gallery and speak with one of our experienced framing consultants.